2017 was another year filled with milestones, growth and opportunity for Brewster Ambulance Service, our team, patients, customers and communities. Join us as we take a look back through 2017 through story and pictures. In 2017, we completed over 72,000 911 Emergency Response calls and over 220,000 transports. 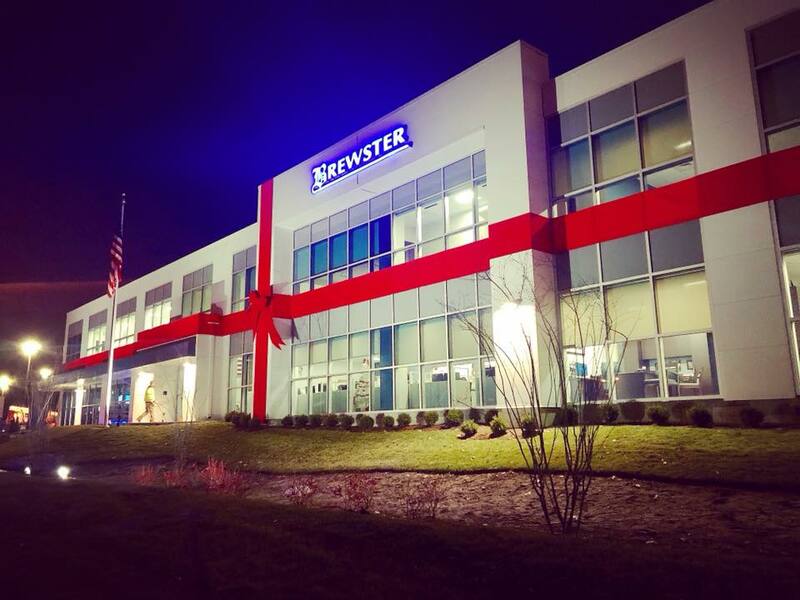 Brewster Ambulance Service officially broke ground in the spring of 2016 at the site of the new corporate headquarters in Weymouth. 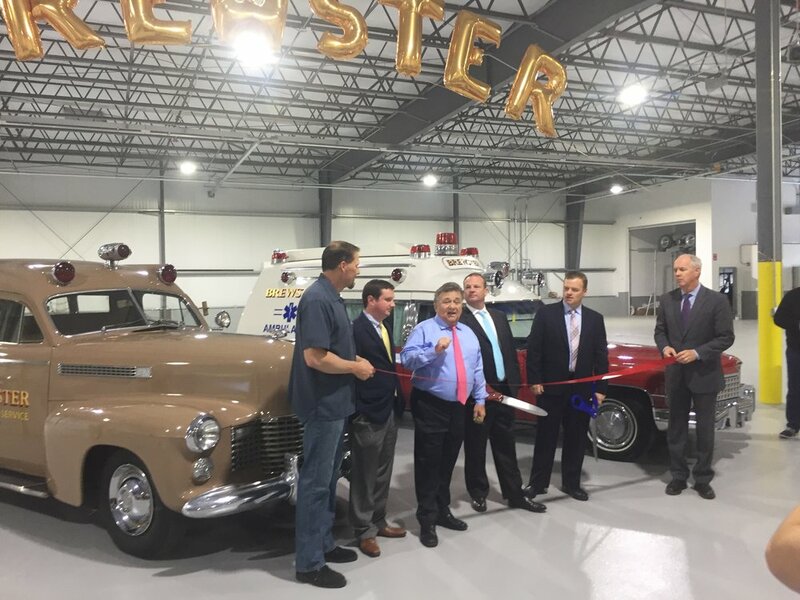 The buildout finished in early May, 2017, and was celebrated with a VIP grand opening on June 1, 2017. Read the full story about the headquarters build here. 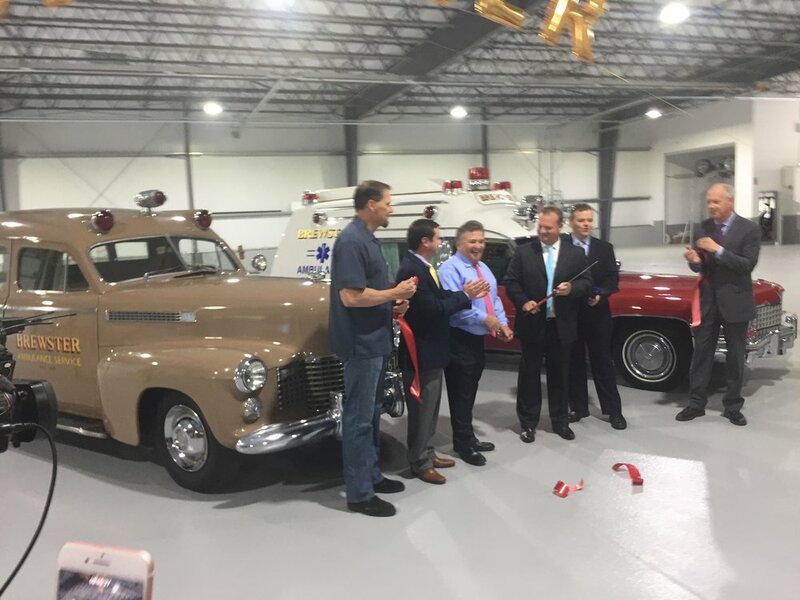 The building has a new sophisticated communications center, state-of-the-art climate control, onsite vehicle refueling, an energy efficient system for washing vehicles and much more. The pitched roof is not only specially engineered to accommodate snow and rain runoff, but it is also designed to hold the weight of solar panels for potential future greening of the building. The growth of our team didn't stop in 2017 as we brought on new team members across all disciplines, from dispatch to administration to medics in the field. We also re-evaluated how we support our team, and created new roles for supervisors and support staff at our base locations. But what we're most proud of was our commitment to give back to our team in the form of salary increases, effective November, 2017. We are now leading the industry in wages across the board. To view our new wage scale, click here. We are also working harder to recognize our team more openly, and helping them stay connected throughout our dispersed company through a new internal newsletter that kicks off in January, 2018, and a "Recognize the Team" page that was added to our website in the fall of 2017. Any patient, family member or co-team member can jump on the website and share their appreciation for the team member(s) who made a difference in their day. Every submission goes to the Brewster leadership and is shared throughout social media and through internal communications. We are very proud of our team and want people to know the amazing work, commitment and quality care our people provide. Toradol Pilot Program: In April, 2017, Brewster was the first EMS agency to offer a non-addictive pain medication choice to patients. In support of MA Governor Baker's STEP Law, this pilot program has far-reaching implications. 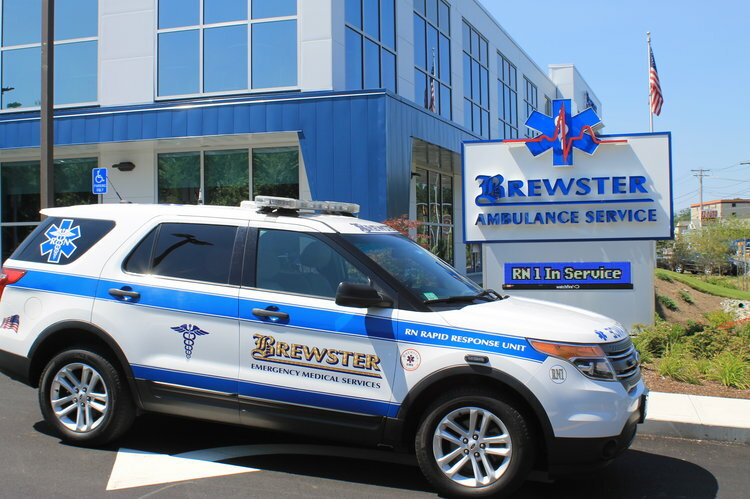 Read the article about how Brewster Ambulance worked with state and local drug task forces to have a positive impact on the opioid epidemic. Toradol Gets a Nod from the State: Later in 2017, we learned that the MA Department of Public Health and Office of Emergency Medical services granted Brewster an ALS procedure for intramuscular and/or intravenous administration of Ketorolac Tromethamine (Toradol) as an alternative non-narcotic analgesic. Read the full article here. Governor Baker's STEP Law: This important legislation (STEP Law) reflects Governor Baker's ongoing commitment to reduce opioid-related abuse and deaths. Click here to read more about this legislation and what's being done to tackle the opioid epidemic. Tactical Response Coverage and TEMS: Brewster has amped up its capability to augment and develop policies for tactical response for municipalities. Our team has experience in SWAT and other special ops team deployments and has participated with local law enforcement to conduct active shooter drills and other preparedness training. As part of this extension of service to our municipalities, we added two aerial imaging drones for searches, disasters, HAZMAT and rescues. Read more about Tactical EMS and operational medicine here. Safety First: As a company, we paid extra attention to reducing the amount of accidents, worker's compensation claims and other EMS responsibilities. We crafted several detailed communications and training to help our team be more aware, prepared and attentive to the safety of patients as well as themselves while performing. Continued education and awareness will be driven throughout the organization as the safety of our team and our patients is critical to the quality we strive to uphold. To view all of the articles posted on safety and training in 2017, click here. Dialysis Nurse Program: In 2017 we established a program to assist our many customers and dialysis patients. Insurance coverage mandates are fairly strict regarding ambulance transportation, requiring additional assistance with the end-to-end dialysis experience. Brewster created a dialysis nurse program to see each patient every 60 days, bringing the level of care closer to the patient and the care facility. Read more about this innovative service-based program here. RN1 officially on duty July 2017. Announcing RN1 Rapid Response Units: In July 2017, Brewster placed into service an RN Rapid Response Unit (RN1). Yet another first in the industry, we are now deploying certified registered nurses who have specialized emergency medical experience that help our teams deliver emergency medical care more strategically and collaboratively. Read the full article here. From the CMTI company-wide training side, we issued 2,998 CPR and ACLS cards in 2017 and taught over 350 CPR and ACLS classes. We offer monthly CPR and ACLS classes and provide six ALS and BLS recertification courses per year, and that number will increase in 2018. One of the most popular articles in the monthly Brewster Insights newsletter is the team and partner profile article. Each month we interview one team member or partner and post their responses in a "getting to know you" article. Despite being a company distributed throughout the south shore and Rhode Island, our team still maintains the family feel, and this is just one more way we cultivate that for our team and partners. Keith Wilson, Director of Education/CMTI, Inc.
To read any of the team and partner profiles from 2017 (as well as 2016), click here to visit the Brewster Insights newsletter archive page. To continue smart growth, fiscal responsibility and consistent improvement of the service we provide, we will continue to seek out the best talent, technology and business solutions for those we serve. 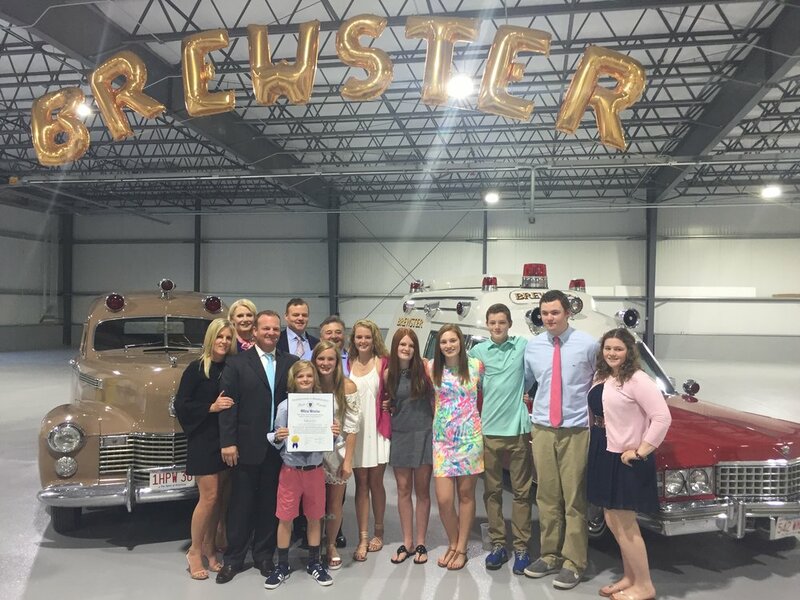 We are grateful to everyone who contributes to making Brewster Ambulance Service so successful.